2014 seemed too fly by for us. It was a bit of a roller coaster but I have to admit it has been one of the best years! Granted it has tested our patients, brought tears as well as happiness, but most importantly it brought us our little girl! In March we found out that we were expecting a little girl, throughout my pregnancy I kept saying that it was a girl, but to actually confirm that I was right was one of the most amazing and happy moments of the year for me. I've always wanted a little girl, someone who I can go shopping with, and will be my best friend. I never had a close relationship with my mum, so I wanted to make sure that i had a amazing one with my daughter. Safe to say, she's my best friend already! In April we celebrated being engaged for a year! we actually planned to get married in Decemeber 2014, but when we found out we were actually expecting we decided to postpone. I'm glad we did because the end of this year has been a blur. I also started my blog which has become my little outlet, its one of the best things i ever done. It has opened a whole new world to me, I have made some friends, and also found something that i'm passionate about, and found my love for writing again. 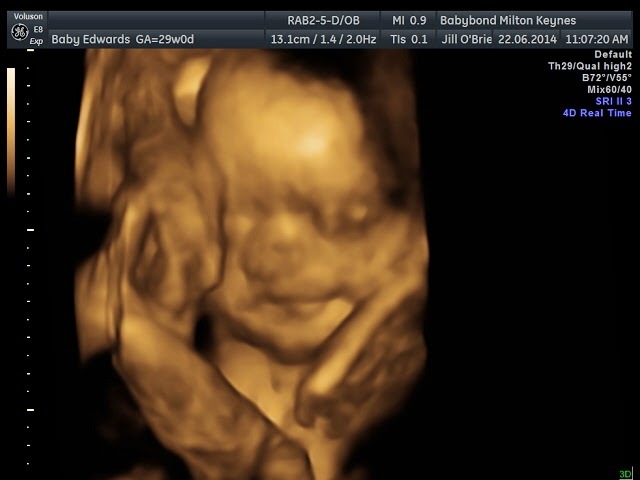 In June we had our 4D scan. It was something that I will always remember. I really loved it, and i'm so glad that we brought the DVD so I can watch it whenever I like. It is a little bit strange looking back on it considering I still can't really believe the fact she was in my belly. August was one of the most stressful months of my life, I spent most of it in hospital. 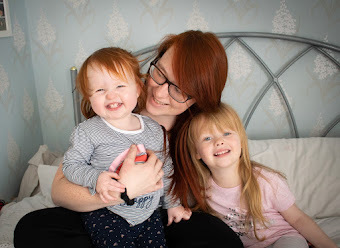 I never knew how ill I could become because of pregnancy. Lucky, everything worked out ok, and Emily carried on fighting! September was the most amazing and memorable months of my life. Although Emily had a very tramatic and stressful entry too the world, the day we met changed my life, she is the most adorable little girl (i'm bias I know). Being a parent has been amazing, stressful, rewarding, testing, overwhelming thing I have ever done with my life and I wouldn't change it for the world. 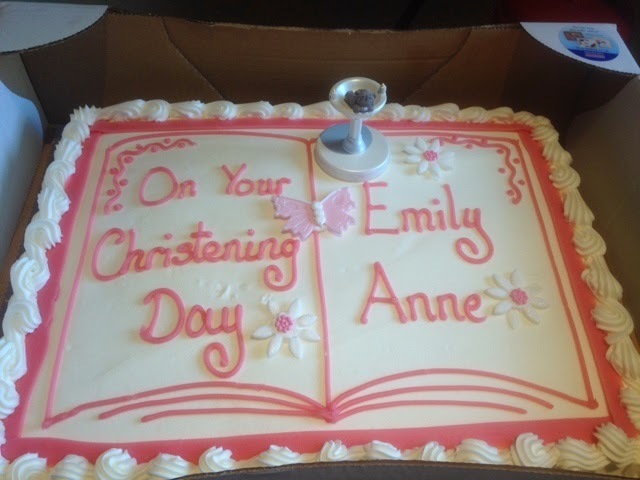 Emily's christening was in November, and it was lovely to celebrate her life, welcome her to the church and have the family together. We had a lovely first Christmas together, traveling around to see all of the family in one day was very stressful, next year we will be spending the day as a family of 3! I'm looking forward to 2015! bring it on.